RFK Jr. Meets the President-Elect at Trump Tower. To Chair Vaccine Safety and Science Commission? Must Push Back to Make it Happen! "We are at a strategic moment when the entire vaccine pseudo-science edifice is poised to collapse." - Maj. Gen. Bert Stubblebine (US Army Ret. 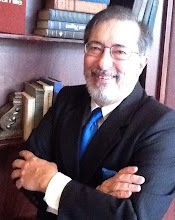 ), President - Natural Solutions Foundation . "Robert F. Kennedy Jr.—Camelot heir, lawyer, environmentalist, and crackpot [sic] anti-vaxxer—met with President-Elect Donald Trump today to talk about vaccines. Kennedy later told reporters that Trump has tapped him to chair a commission on 'vaccine safety and scientific integrity.' ... This meeting alone is likely to embolden discredited conspiracy theorists who have cheered Trump’s election—and it should send shivers down the spines of parents, doctors, and believers in science everywhere...."
"RFK Jr. is a brave and committed voice for freedom of choice in health care. He is the very opposite of the "crackpot" description in The Beast report. When vaccine pushers tell us that "the science is settled" we know that they either do not understand real science, which can never be "settled" or they are misinforming for their own personal or profit agenda. The Vaccine Safety and Science Commission is an important step toward ending the tragedy of childhood vaccine injuries." 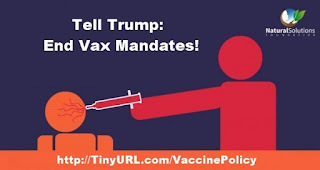 "This appointment does not surprise me, since many thousands of Americans used our web form action item Tell Trump to End Vax Mandates to email the Trump Transition Team asking the new Administration to take a strong stand on the vaccine choice issue. And with the President-elect reaching out to the Vaccine Choice Movement so powerfully, we can hope that the relentless push for ever more mandated vaccines will finally stop, and we can hope to finally see declines in the incidence of autism in the young and dementia in the elderly. " Rumors circulating after the initial meeting suggest some internal dissension in the Trump Camp with some transition figures urging that Trump not be seen to be "anti-science" on the vaccine issue. Others suggest that "vaccine science" is so corrupted with crony conflicts of interest that it cannot be trusted. While people may vary on their understanding of the uninsurable risks of vaccination, the idea that government, or employers or schools, ought to coerce* consent for vaccination remains highly contentious. Health Freedom advocates cite the universal right to Informed Consent as forbidding vaccine "mandates." The lame duck administration in Washington continues to overreach. Where will it end? This past November the Federal Trade Commission had more to say about traditional use claims, in this case, about such claims for homeopathic products. "Other products need to support their claims, so why shouldn't homeopathic products?" counters the FTC's Cleland. "They're not different; they're going to be held to the same standard." Cleland doesn't think the labeling will necessarily dissuade people from purchasing homeopathic remedies, and that's not the FTC's goal. "We believe the consumer should have as much accurate information as they can before making purchasing decisions."... Daniel Fabricant, the executive president of the Natural Products Association, says that "this is a clear example of jurisdictional creep." The new FTC pronouncement does not represent a true change of policy, which would be contrary to the FTC's mandate from Congress which limits its rule-making authority, rather, it appears to be a change in enforcement emphasis. With homeopathic products having special legal protections from FDA interference, granted by Congress, it does not surprise that a different agency would engage in "jurisdictional creep"
This regulatory action reminds me of the Drug Enforcement Administraiton's recently expressed opinion that CBDs (cannabidiols) -- a natural part of our bodies -- can be made contraband by DEA edict, after the FDA failed to convince anyone that CBDs were not grandfathered under DSHEA (the Dietary Supplement Health and Education Act). These regulatory actions are examples of more government overreaching, interfering with consumer choice, despite the lip-service expressed by government spokespersons in favor of consumer choice. The essence of the current American rule on Traditional Uses is, as stated by FTC, “Claims based on historical or traditional use should be substantiated by confirming scientific evidence, or should be presented in such a way that consumers understand that the sole basis for the claim is a history of use of the product for a particular purpose.” Remember, FDA regulates labels while FTC regulates advertising (however, FDA can consider literature about a product to be an extension of the label). Further, the agencies will look much more closely at products that claim to cure serious disease than products that claim to support normal structure and function. Disclaimers and Disclosures need to be carefully crafted. These are the regulatory requirements that must be met to base advertising claims on the Traditional Use of a product. Here is a sample of a Traditional Use Disclaimer, "This information is based on Traditional [Chinese Medicine] which often uses natural herbs and nutrients to support health. The information about these ingredients has not been evaluated or approved by the FDA and is not based on scientific evidence from US sources. This product is intended to support general well being and not intended to treat disease. If conditions persist, please seek advise from your medical doctor."